Looking for accurate information about the EPA RRP rule? RRPedia has been created by Shawn McCadden to help remodelers and others affected by the New EPA Renovation Repair and Painting Rule. Please read RRPedia Use and Contribution Information before using or contributing to RRPedia. According to a letter sent to 3M on Wednesday June 27, 2012 by the Bureau of Environmental and Occupational Health, the state of Wisconsin has just approved the use of 3M’s LeadCheck test kit for use under the state’s Lead Safe Renovation Rule. Wisconsin is one of the states that has taken over enforcement and administration of the RRP rule from EPA. They did so on April 22, 2010. After review of regulatory requirements and test kit performance measures the Wisconsin Department of Health Services has concluded that the 3M LeadCheck test kit can reliably determine that lead-based paint is not present on wood, ferrous metal (alloys that contain iron), drywall and plaster substrates. According to the letter the Department has determined that using the negative response criterion alone is as protective of human health and the environment because a false positive would require a renovator to follow the lead-safe renovations when they would not have been necessary and therefore would be overly protective rather than less protective of human health and the environment. Still hoping for a test kit that meets both the negative and positive response criteria, the letter clarifies that this recognition will remain in place until such time a kit that does both becomes available. The current test kits are only accurate enough to determine whether lead is present or not (qualitative test), not indicate how much lead is present (qualitative). EPA had assumed a reliable quantitative test kit would be available by September of 2012 when it wrote their RRP Rule, but no kits with that ability have been recognized by EPA or any other state program. According to EPA’s own research, the lack of a quantitative test kit has doubled the number of projects requiring lead-safe work practices, projects that otherwise would not have required those practices if a quantitative test kit were available. Read this RRPedia article for more clarification on this subject. The Department plans to place Information about the new recognition on the lead program website and will provide information about the recognition to all Wisconsin training providers offering accredited lead-safe renovation courses. As of posting this blog the department’s website did not have information about the test kit recognition. Information about the test kit recognition and approved method of use has been posted to the department's web site. For the benefit of those working on target housing and child occupied facilities in Wisconsin, the DHS offers the following guidance documents for those who must comply with the state’s Lead-Safe Renovation Rule. Yesterday, David Merrick, chairman of the NARI Government Affairs Committee and owner of Merrick Design and Build, testified before the House Small Business Committee about many of the concerns remodelers' have about the RRP Rule and the difficulties trying to effectively work with EPA. I think David’s testimony spoke for the opinions of most NARI Members as well as for most remodelers. Let me know what you think. Click here to view the entire video which was just over one hour long. David’s introduction and his testimony begin at about 19:50. Here are some highlights I pulled from watching the video myself. 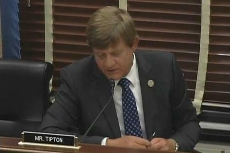 In response to questions posed by a representative overseeing the SBA (Ms. Peters? ), David stands up for and points out the realities and challenges for smaller one or two man remodeling businesses starting at about 30:28. David stressed the burden record keeping has on such smaller businesses just trying to earn enough money within the time they have to produce their product, pointing out that even if they are doing the right things regarding the work they perform, they can be punished by EPA for paperwork challenges. Perhaps, like many contractors, EPA has a problem under estimating and under bidding? I think it is worth listening to the balance of the video after Merrick’s comment to hear Mr. Tipton’s comments and opinions in support of more sensible oversight of EPA’s tactics, behavior, attitudes and performance. During the hearing there was much banter regarding whether EPA needs more money to effectively regulate or alternately should get less money because of their poor performance. I think they are missing the point. We don’t have more money to give EPA unless we take it from somewhere else or borrow it from China and put the burden of paying for the borrowed money on our children’s future. Maybe many of the the same children the rule is intended to protect. Here is one example. During the hearing Merrick points out That currently only 122,476 firms in the remodeling sector are considered EPA Lead-Certified Firms, out of the estimated 652,206 remodeling businesses in the United States. Has EPA done a good job in the past 26 months since the rule took effect if 80% of remodeling contractors are still operating uncertified? Are they really keeping our children safe from lead poisoning with the plan they assembled knowing the reality of available funding? I think it goes back to original planning. Try this analogy. The simple way to put it is it’s great to figure out and plan for a nice seafood lobster dinner, but if you get to the store and you don’t have enough money then all that planning on a great seafood dinner is kind of wasted. My suggestion is that the way EPA went about creating this rule is rather silly especially because they just don’t have the funding or the budget to administer and enforce the rule the way the rule was written. Perhaps if EPA really understood our industry and how contractors operate, they would have considered a Design/Build approach! On June 22 a federal court denied the petition filed by several construction industry trade groups to review the EPA’s amendment to the RRP Rule that eliminated the “opt-out” provision originally included in the rule. The original petition was filed in November 2011, led by the NAHB. The National Lumber and Building Material Dealers Association, the Window & Door Manufacturers Association, and the Hearth, Patio & Barbecue Association also joined in with NAHB for the petition. 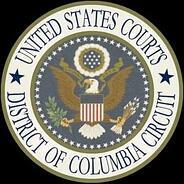 You can read the full decision by the U.S. Court of Appeals for the District of Columbia here. Renovators and others hoping for the return of the opt-out still have reason for hope for the return of the RRP opt-out because of the Lead Exposure Amendments Act of 2012. Two separate bills were introduced in the Senate and House earlier this year by Sen. James Inhofe, R-Okla., and Reps. John Sullivan, R-Okla., and Tim Murphy, R-Pa. 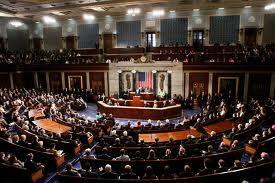 Learn about the most recent Amendment Act introduced on June 7th here. NARI Government Affairs Committee Chairman David Merrick, MCR, UDCP, will testify Wednesday, June 27 at 1 p.m. Eastern before the House Small Business Committee on the topic of "Regulatory Flexibility Act Compliance: Is EPA Failing Small Business?" The focus of the hearing will be how the EPA plans to handle LRRP in relation to commercial construction. Merrick will also address NARI concerns about LRRP and residential construction. NARI members are encouraged to send letters of support, using the NARI template you can find here. Letters will become part of the hearing record. NARI Members can fax letters to (202) 226-5276 by June 29. Please also fax a copy to NARI National at (847) 298-9225 or e-mail a copy to gac@nari.org. 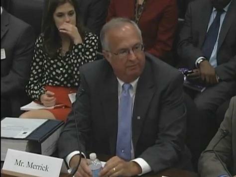 Merrick's testimony will be streamed live and viewable on-demand on the committee's Website at 1 p.m. Eastern time. RRP Question: Does Removing Aluminum Siding Fall Under the RRP Rule? "Theoretically, aluminum siding came with paint on it…..and most was installed before 1978. Does anyone know if the factory paint on aluminum siding has lead in it? Intuitively, one would pull it off without concern for lead, but I have a client who has asked specifically." The rule includes all painted or coated surfaces. So yes, the siding must be assumed to have lead until tested otherwise. Note: My opinion as expressed above is based on the fact that the painted surface is being “disturbed”. Here is an interesting conversation about this topic on the JLC forum. Aluminum siding during that era was manufactured by many different companies so it would not be wise to assume they all used the same paint or coating. Even if you test a product on one house and find it lead free, under the RRP Rule you must assume that same product might have lead if installed on any other building. Here is one that might seem crazy. Along the same vein, even if you built an addition or deck at a home after 1977, and you know all the products you used were purchased and installed after 1977, if returning to work on the addition or deck you must still assume the addition or deck may contain lead. The only way around this is to test it to prove the absence of lead under the rule. 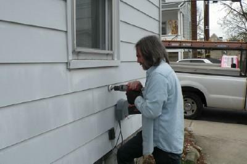 Something often missed or overlooked is if the original siding under the aluminum siding contains lead. If you have to remove that siding too or even just disturb more than 20 square feet of the old siding when removing the aluminum siding, then the RRP Rule will apply. I am removing aluminum siding from a pre-1978 home. The aluminum siding was nailed over the top of painted wood siding that tested positive for lead. The underlying painted surface is greater than twenty-square feet. Must I comply with the Rule when removing the aluminum siding? The work practices for exterior projects are based on a performance standard – if the activity disturbs a painted surface (generally, by creating paint chips or dust) in excess of 20 square feet, the work area must be contained so that dust or debris does not leave the work area while the renovation is being performed. In this case, if the removal of the aluminum siding results in the disturbance of paint in excess of 20 square feet, then the RRP Rule applies. However, if the removal activity could be performed in such a way that does not disturb 20 square feet of painted surface, then the RRP Rule would not apply. EPA recognizes that this may be difficult to determine in advance of the renovation activity. However, the renovator is the person with the expertise and experience to make this determination on a case-by-case basis. In such a situation, a renovator should consider how factors like the condition of the underlying paint or the chosen method of removal may increase or decrease the likelihood for a disturbance of paint. If there is still uncertainty, EPA recommends that renovators err on the side of caution and be prepared to contain any dust and debris. Today, according to an article by NAHB posted to the website HousingZone, Congressmen John Sullivan (R-Okla.) and Tim Murphy (R-Pa.) introduced H.R. 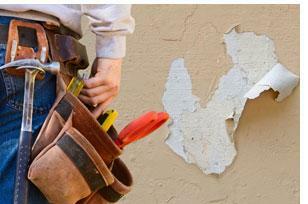 5911, the Lead Exposure Reduction Amendments Act of 2012, to improve the lead paint rule for remodelers who must comply with the costly work practices and record keeping requirements of the rule. According to the article the amendment provisions include return of opt-out clause and limitations on expanding the rule. I am not sure or clear at this time regarding exactly what this new amendment includes or the purpose of the amendment. However the article indicates that H.R. 5911 is companion legislation to S.2148 introduced in March and responds to concerns from NAHB Remodelers and affiliated trade groups. Reinstate the opt-out provision to allow homeowners without small children or pregnant women residing in them to decide whether to require LRRP compliance, not the government. Eliminate the “hands-on” recertification training requirements. 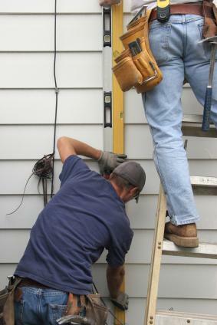 Provide an exemption to the regulation for emergency renovations. 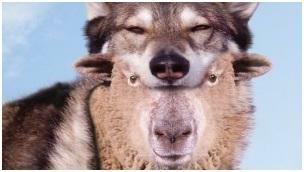 RRP Rule: Is it a Sheep in Wolf's Clothing? One Person’s Opinion: This is a guest blog submitted by Joe Levitch of Levco Builders to express his opinion. Joe is a remodeling contractor and he is also a Licensed Lead Inspector, Licensed Risk assessor and the owner of Lead Locators, a lead inspection firm in Boise Idaho. He comments and contributes to RRPedia quite often. If you would like to express your opinion or offer something of value for RRPedia visitors let me know. It has been 2 years now and the EPA's RRP rule has been an enigma to deal with. 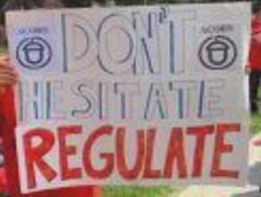 What I envisioned as game changing regulation has turned out to be a sheep in wolfs clothing. I expected a year of educating the public through infomercials and campaigns, Then some head turning enforcement. Sadly I was and have been consistently disappointed. I expected my fellow remodelers to understand intuitively that the old days of dusty demolition were over and adopt the new rules, but there I go again over estimating my industry. Turns out remodelers like everyone else wants to do as little as possible and get by. Change is painful I suppose, most would rather spend energy disputing scientific facts than getting their act together and incorporating lead testing and LSWP into their SOP'S. I have talked till blue in the face about the federal law and the mandate that RRP imposed back in April of 2010 but in my little hamlet of Boise Idaho there has been no known enforcement. I do see a trend however in the industry. We are getting a few more requests to verify contractors are using Best Practices when LSWP is in process. I am also getting an up tic in the number of test requests for lead testing, so the news is not all bad. There have been a few reports of fines, but they are not close to home or particularly relevant to the remodeling industry. Most are for failure to use the Renovate Right Booklet. OSHA has become a bit more worrisome to contractors than it used to be. Their requirements are far more burdensome and onerous. I seriously doubt many remodeling firms are in compliance with their rules. I still sense a general disdain for the RRP rule along with general confusion, but a reluctant sluggish move towards compliance. I set up a Lead Awareness committee for my NARI group and after an enthusiastic push to get everyone up to date and compliant, I was told to back off with the education and speakers " We are a little leaded-out right now"
I have had no problem explaining to my clients that lead testing saves money. Perhaps it is just the delivery I use? Doing leaded work has been difficult. I can see how one can develop heat exhaustion or worse in little or no time. Monitor your folks for hydration and schedule cooling off time. The swabs test for the presence of lead. We don't need to do LSWP unless there is over 1mg/cm 2. 3M is laughing all the way to the bank, homeowners and contractors alike are using LSWP unnecessarily in many cases now. My advice to every remodeler is to find a company with an XRF that can do a test and produce a report that can be used as a tool to deal with lead above the regulatory limit. Get fluent in using LSWP. Check each other to make sure no one is poisoning their clients or their pets and lets be professional about it. My company has teamed up with some painters that are certified firms and have done testing on all proposed renovations on all pre '78 homes. Many of them are leaded, most have only a few components that require LSWP. We have also had tiles tested and found a many of them to be leaded in a very high percentage. I believe tile should be assumed to be leaded and demolished with care. In closing I applaud those that have incorporated RRP into their business. The EPA has been looking into new ways to track compliance and performing enforcement. I encourage those that are resisting change to get on board before the EPA fines you, or worse, you make someone sick. Ask those of us that are dealing with the rule how we have managed and let's set ourselves apart from our competition by doing the right thing. 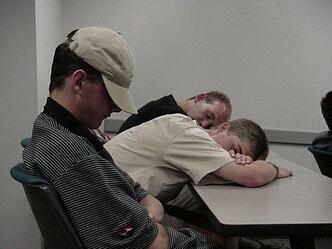 It’s probably been a while since you took your RRP Certified Renovator Training Class. This blog post is offered as a refresher topic to help you keep important details about the RRP rule top of mind when selling, estimating or performing RRP renovations. Posted signs: These must be posted on all sides of the work area to define the work area, must be in the primary language of occupants, must be posted before the beginning of the renovation, and must remain until cleaning verification is achieved. 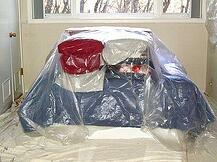 Contain the work area: Before renovation, isolate the work area to prevent the escape of dust. During work, maintain the containment integrity and ensure that containment does not interfere with occupant and worker egress from the home or work area. Remove or cover furniture/objects: Remove (preferred) objects like furniture, rugs, window coverings; or cover them with plastic sheeting with all seams and edges taped. Cover floors: Cover floors including carpets in the work area with taped down plastic sheeting or other impermeable material to 6 feet beyond the perimeter of surfaces undergoing renovation or to a distance sufficient to contain dust, whichever is greater. Remember, if vertical containment is used floor containment measures may stop at the edge of the vertical containment. Close windows, close and seal doors: Close windows, close and seal doors in the work area with plastic sheeting or other impermeable material. Doors used as entrances to the work area must be covered with plastic sheeting that allows workers to pass through while confining dust to the work area. Cover duct opening: Close and cover all HVAC vents in the work area with taped down plastic sheeting or other impermeable materials (e.g., magnetic covers). Remove dust and debris from everything leaving the work area: Use precautions to ensure that all personnel, tools and all other items are free from dust and debris before being removed from the work area. Guidelines for use of the Certified Firm Logo provided by EPA must be followed to avoid fines. Reading and understanding the following information can help make sure you are in compliance if you plan to use the firm logo on your vehicles, signage and or any marketing you do. What is the Lead-Safe Certified Firm Logo? The Lead-Safe Certified Firm Logo identifies a firm as certified under the Renovation, Repair, and Painting (RRP) Rule. The colors used to make the two-color logo are Pantone 362C (green) and Pantone 660C (blue). The font is Helvetica. What are the guidelines for using the Logo? The Logo must be reproduced so that all of its components are legible and includes your firm's certification number. The Logo must not be altered or distorted in any way. Use the Logo to identify your firm as an RRP-certified firm. Firms that are not RRP-certified may not use the Logo. Use the Logo in brochures, advertisements, Web sites, proposals, bills, signs, uniforms, vehicles and other materials promoting or identifying your firm. Use the Logo on documents or other materials in black and white or color (two-color or four-color versions are available). Use the Logo in any manner that would imply EPA endorsement of a company, its products or services. Reduce the Logo to a size smaller than one inch wide by 0.687 inches in height. Allow a firm that is not RRP-certified (including your subcontractors) to use the Logo. EPA will monitor the use of all Logos. If necessary, EPA will address failure to comply with these Logo Guidelines. To report a non-compliant use of the Logo, please contact EPA at 1-800-424-LEAD. EPA will e-mail information regarding your custom Logo to the e-mail address listed on your firm certification application. For further questions regarding your EPA Lead-Safe Certified firm Logo, please send an email to: EPARRPFirmLogo@battelle.org or send a fax to: (202) 566-0470. In your email/fax please include your EPA Firm Certification number (e.g., NAT-12345-1), Application ID (e.g., 12345), firm name, and firm mailing address. Accredited training providers may use the Logo on their site and marketing materials as long as it is used as a tool to guide renovators through the firm certification process (i.e., explain the difference between firm certification and individual training). Training providers may inform students that only certified firms will be provided a customized Logo exclusively for their use to advertise their businesses once their firm has been certified. Training providers may distribute the Logo only to principal instructors affiliated with the accredited provider, and only for the purpose of training as described above. Training providers may NOT distribute the Logo to unaffiliated entities. Upon request, EPA will provide to accredited training provider the Logo for their use. Requests can be made to the National Lead Information Center at 1-800-424-LEAD. Principal instructors that advertise, provide training, and use the Logo must do so under the name of the accredited training provider for whom they work. They may also state that the organization that employs them, if different from the accredited training provider, is assisting with the training. Imply lead-safe certification from EPA or any EPA-authorized state. Upon request, EPA will provide the logo for use. Note: The information shown above is from the EPA web site. EPA has already and may again revise these guidelines. Use this link to find the most recent info at the EPA web site. Guest Blogger: Dean Lovvorn is a residential remodeler who has done numerous RRP projects. 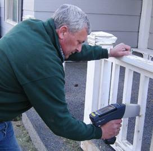 He is also a Lead Inspector, Lead Risk Assessor and EPA RRP Renovator Instructor. He is well informed about the RRP rule and it's history. Bring up EPA’s Renovation, Repair and Painting (RRP) Rule around a group of contractors and the sparks will begin flying. The debate can get as heated as discussing politics. In fact, politics often gets brought into the discussion. Everyone has an opinion and many times those opinions are portrayed as facts. I’ve jumped into these dog fights and often times the line between fact and fiction become blurred. There have been some discussions where a particular contractor talks about how RRP is impossible to follow; only to find out the contractor has never done an RRP job … or even taken the course. Others talk about how they don’t need anyone to tell them how to clean up after a lead based paint project. Yet, they have never done a lead dust test to see if they really are cleaning up correctly. One contractor talked about how his employees were safe working around lead paint, but had never done air monitoring to see if it was true. Once, I had a contractor tell me I was doing risk assessment wrong. Yep … you guessed it. He never had done a risk assessment, taken a risk assessor course or even taken a lead safe work practice class of any type. I’m sure as a professional contractor you’ve had a homeowner question how you were doing something and make suggestions to you. Amazingly, just because they watch do-it-yourself programs on TV … they start believing that they have some expertise in the subject. “Most of us like to believe that our opinions have been formed over time by careful, rational consideration of facts and ideas, and that the decisions based on those opinions, therefore, have the ring of soundness and intelligence”. “In reality, we often base our opinions on our beliefs, which can have an uneasy relationship with facts”. “And rather than facts driving beliefs, our beliefs can dictate the facts we chose to accept”. “They can cause us to twist facts so they fit better with our preconceived notions”. “Worst of all, they can lead us to uncritically accept bad information just because it reinforces our beliefs”. “This reinforcement makes us more confident we’re right, and even less likely to listen to any new information”. The reality is an expert is someone who has education and experience in the subject being discussed. I like how Wikipedia states it … “experts have a prolonged or intense experience through practice and education in a particular field”. You would do yourself a great favor, if you find a mentor, coach or expert to learn from … even if they disagree with you. Looking for a Mentor or Coach to help you with RRP and or your business? Contact Shawn today to personally discuss your goals and how he can help. 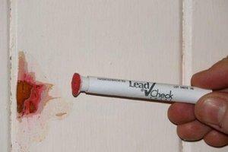 ST. PAUL, Minn. — 3M LeadCheck Swabs, the simple way to test for lead and assist in compliance with the Environmental Protection Agency’s (EPA) Renovation, Repair and Painting Rule (RRP), are now recognized by the EPA for use on drywall and plaster. 3M LeadCheck Swabs were the first commercially available lead test kit recognized by the EPA for use on painted wood and metal. Now with EPA recognition on surfaces including wood, metal, plaster and drywall, 3M LeadCheck Swabs provide a quick and simple way for certified renovators to test for lead and take steps to RRP compliance, all with one easy test kit. To achieve the latest EPA recognition for drywall and plaster, 3M LeadCheck Swabs underwent a rigorous testing process. The testing process and results were reviewed and approved by the EPA and took into account factors such as ease of use, toxicity of chemicals used, average cost and average time of kit operation as well as overall performance. Since April 22, 2010, contractors performing renovation, repair and painting (RRP) projects in pre-1978 homes, schools and daycare facilities are required to be certified and follow lead-safe work practices. This EPA-issued RRP Rule is aimed at preventing lead poisoning. When used by a certified renovator, 3M LeadCheck Swabs are EPA-recognized to determine that lead-based paint is not present on wood, metal, plaster and drywall, making them an important tool when following the RRP Rule. 3M LeadCheck Swabs are widely recognized as the fastest, easiest, most cost-effective lead detection product on the market. The LeadCheck brand has been at the forefront of lead detection and awareness since 1992. At less than $5 a swab, it’s a tool to help RRP-certified contractors win jobs. 3M LeadCheck Swabs are available nationwide at home centers, hardware and paint stores as well as online and are sold in 2-packs, 8-packs, and contractor packs of 48 swabs. For more information about 3M LeadCheck Swabs visit www.3MLeadCheck.com. For more on how to use LeadCheck on drywall and plaster visit http://leadcheck.com/using-leadcheck-on-plaster-and-drywall. 3M and LeadCheck are trademarks of 3M. Subscribe to RRPedia by Email and get notified about new postings as soon as they happen! Are You Documenting Yor Crew's Compliance With The RRP Rule? Still Using a Yellow Pad for Your Estimating? 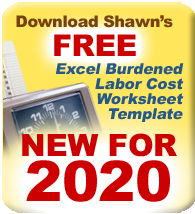 How Confident Are You About Your Labor Costs Assumptions? I just wanted to say thank you for your efforts to keep us informed. "Thank you again for the hundreth time for keeping a vigil on this business nightmare. Your site is one of the best resources we have to stay on level ground"
"I am quite impressed with all the confusion out there at Shawn McCadden’s clear and concise voice that continues to help contractors and those involved in this industry truly understand the rule. His efforts should be applauded." "RRPedia is an accurate and contractor friendly interpretation of the very complex and confusing EPA RRP rule"
"Thanks for taking the time to write the blog. It's about the only place one can go to get some serious info on this dreadful subject"
"I would like to begin by thanking Shawn for all of his postings and education that he has been sharing with the remodeling industry. He has personally been extremely helpful in guiding me through various interpretations of the RRP rule, his advice and knowledge are priceless." Want a Simple Summary of the EPA RRP? Shawn McCadden has created an EPA RRP Summary for Remodelers. "Hi Shawn, Nice RRP write up on the website. I've already forwarded a link to it to a number of local builder types." Click here to go to the summary. You can also download it if you want your own copy. Add this widget to your Web page, blog, or social networking site. A widget is a CDC.gov application that displays the featured content directly on your web page. Click the buttons to see the next tip to prevent lead poisoning.